Kayak fishing is a popular and adventurous water sport that many love. Fishing from a kayak is a nature-friendly activity, as it does not pollute air and noise. In a big or small water body, you can start your kayak-fishing trip to catch tuna, wahoo, mahi-mahi and various other fishes. Many people enjoy kayak fishing. However, the method on how to kayak fish can be quite difficult and confusing for many. In this article, we will be presenting the top 10 kayak fishing techniques that will help you become a better angler. Kayak anglers never remain stable on the water body; they need to cast their rod to reach their targets, often changing their position or direction while fishing. Thus, the one-handed technique is a must, one hand to use the paddle and steer the boat while the other hand is used for fishing. You may identify several fish species while drifting. Control your drift direction with very minimum effort on paddling. The kayak does not remain pointed downwind, and you can alter the orientation with a backward drive from your paddle. Use your eyes to identify the presence of the fish in the water. There are special glasses that can help you with this. If you have a wider kayak, you can also try out stand-up fishing. Make sure the rod is prepared beforehand for easy casting. Look at the weather report of the day when you are planning to go out for kayak fishing. Foggy weather conditions makes fishing quite challenging. There is a high chance that you may lose track in the middle of the ocean or river. 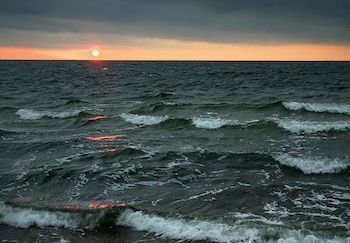 Stormy winds and weather condition are also dangerous as they can result in strong waves in the water. Another risk is lightning and thunderstorm that could be fatal. You should also avoid kayak fishing on rainy days. Make sure you know what to wear. Bring along a dry suit or rain jacket in case if it rains suddenly. It will be quite uncomfortable to kayak when you are all wet. If you happen to experience any of the weather conditions mentioned above, do not panic. Keep calm and paddle back to reach the shore. Appropriate fishing line length is very important. It will reduce the effort when hooking up the fish. If the line is too long, it may be harder and more time consuming for reeling it in. This can result in your hooked fish escaping from you. When you have decided on the destination for your kayak fishing adventure, make sure you do a pre study on that area before you head out. Research more about the life cycle of the fish species. You will be able to find out the time that they flourish the most in water. Study the behavior and appetite of the species too. This will help you in selecting the right bait. You can also find out when is the peak season of the targeted species. Your kayak type has to be right. If you intend to use it on a steady lake or river, make sure to invest in the best kayak for rivers. However if you plan to fish out in the ocean or sea, a robust sized kayak is essential for fishing. The paddle design is another important thing for all anglers. Make sure you get the right paddle for kayak fishing. Check out the shape of your paddle. For instance, paddles having higher angles are better fit for calmer water. Refrain from going to areas with large vessels. The large vessels, like tanker ships move very fast. They transport chemicals, gas and oils, creating big waves. If you move the kayak parallel to those waves, there is a high chance of getting capsized. A folding anchor is important as it keeps your kayak still in the water. Its weight ranges from 1.5 lbs. to 4 lbs. As they are compact, you can store them very easily. Nearby fishes can easily detect any movement or vibrations from your kayak or from the water surface. Never knock your paddle against the surface of the water as this will scare the fishes away. You cannot move your kayak very fast, as it is not a motorized boat. Successful anglers customize their own tactics to manage every situation. Choose the versatile lures for fishing. It can reduce the need for re-rigging and retying. Thus, you will be able to increase the number of casts for catching more fish. The resistant baits, like spinnerbaits or chatterbaits are highly useful for steering the boat. While you are using a lightweight kayak for fishing, you will find the reeling resistance in your bait. It can drive the boat to the casting direction. Apply various tactics for a variety of fish species. Kayaking poses some risks. However, fishing from a kayak increases those risks. Therefore, make sure you have all the safety accessories with you. The life jacket is the most important accessory, even if you know swimming. For protection against sunlight, bring along your sunglasses and remember to apply sunscreen lotion. When you are kayak fishing on the sea or ocean, sharks can pose a major threat to your life. If you mistakenly hooked a shark, you will be facing a dreadful situation. In smaller water bodies, snakes and low-hanging tree branches may cause an issue. To defend yourself, you can start by reverse paddling. Follow the above tricks and techniques for kayak fishing. Learn the way of moving quietly, effectively and smoothly through the water. It may take quite a fair amount of your time to master the technique of kayaking and fishing but once you have mastered it, everything will be worth the while!